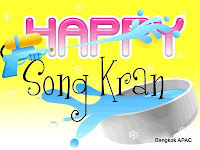 It’s sooooooo difficult to define “the magnitude” of awesomely cool happy fun experiencing Songkran IN THAILAND. Tuesday: rest day and Garry (Blue shirt - newbie) had to return to Aus after a 10 day convention. 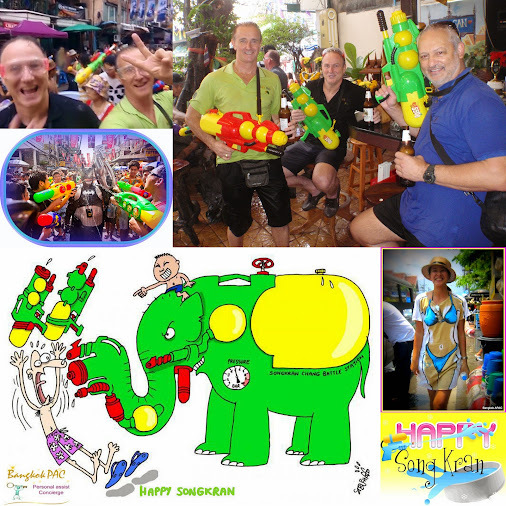 Wednesday - Craig (black shirt vet 4yrs) and I slipped into Siam square - OMG trillions of people almost everyone armed with water guns and street vendors selling the coldest ICE water you can imagine. Street vendor beers, drinks and food everywhere, cheap and accessible without all the politics, common sense hospitality super charged with charming Thai Smiles ... BRILLIANT!